The largest original residential ballroom, the 3,000 square foot third floor ballroom is a beautiful space to celebrate. 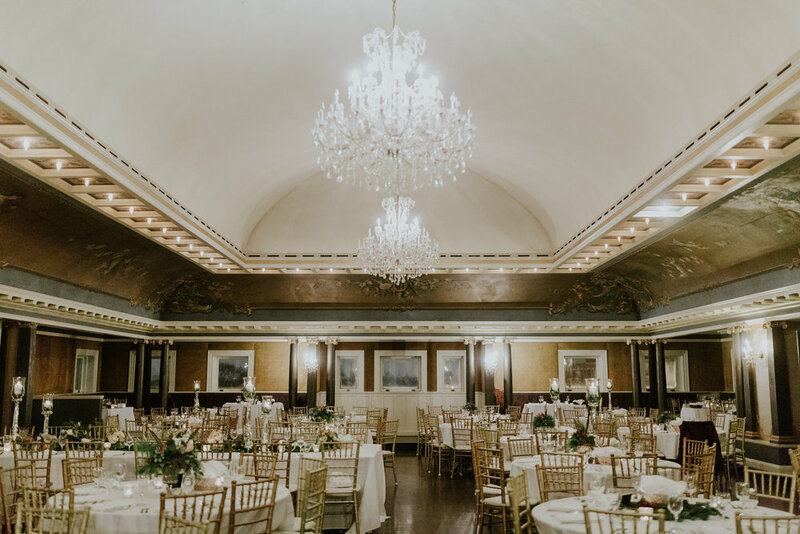 Features include: hardwood floors, seating for up to 250 guests, spectatular domed ceilings, enormous Swarovski crystal chandeliers, restored Fresco paintings, stunning views of downtown Minneapolis, stage area for a DJ or Band and a stainless-steel commercial kitchen for caterers. 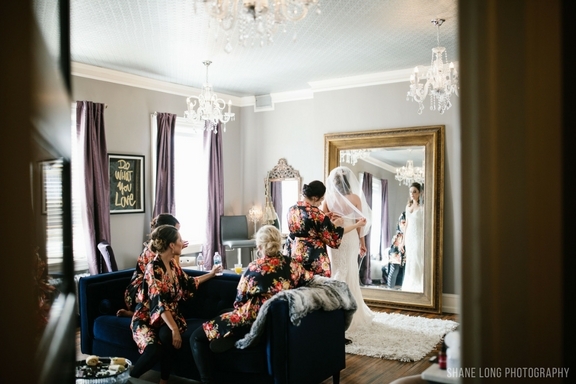 This charming room is the perfect gathering space for the Women of the bridal party to primp and celebrate. 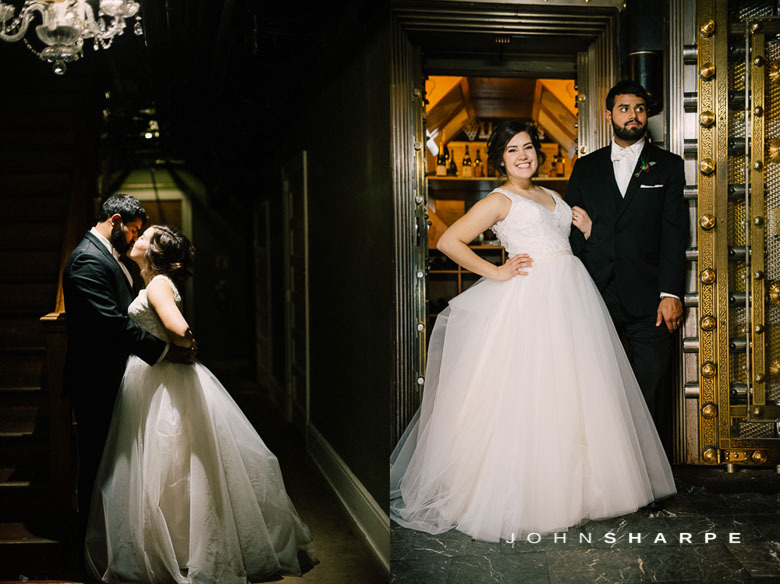 Flooded with natural light and large enough to accommodate any size bridal party, the Bridal Suite photographs beautifully for getting-ready photos. Included in the suite are large tables, individual stations with mirrors, a huge dressing mirror, and a private dressing room. Luxurious details such as crystal chandeliers and rich tapestries complete this exquisite suite. The Grand Foyer serves well as a ceremony site, as well as a casual reception area for serving appetizers and beverages. Ornate, ironwork doors open to this commanding 2,500 square foot space, which accommodates from 10-200 seated guests. A prominent mahogany staircase is the highlight of the entryway, while a gorgeous hand-carved stone and marble fireplace anchors the window-lined foyer space. 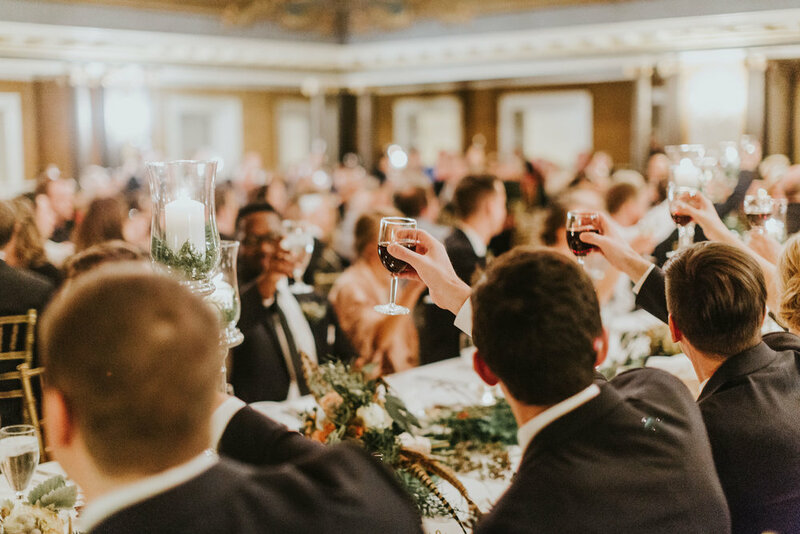 Grooms and Groomsmen value this retreat as a place to relax and dress for the ceremony, while event planners appreciate this versatile space as the ideal complement to the wine vault and grotto when hosting corporate parties. Elegant chandeliers, a gorgeous marble fireplace, and rich mahogany wainscoting make the mansion's former billiards room an elegant alternative to the boardroom. The Wine Grotto is an ideal setting for wine tastings as a single event or in conjunction with a social hour in the Copper Lounge. Haskell's joined forces with the Semple Mansion in developing the most unique wine cellar and intimate gathering space in Minnesota. The Wine Grotto utilizes the original bank vault, fitted with a massive brass and glass 20-inch door to house a brilliant selection of fine wines. The attached Grotto features Italian marble floors, fresco paintings and a singular vine ceiling. The Copper Lounge is a spacious reception area on the first floor of the mansion. Originally built as a residential dining room, the room was later closed off as the Vice President's office for the bank. In early 2012, the room was returned to its original floor plan and gained a bar to serve as a wonderful space for cocktail and social hours. A large crystal chandelier, beautiful fireplace, hardwood floors and ornate woodwork add to the beauty of this welcoming lounge.